FSLabs A3XX - Can it possibly get any better!?!?!? The title says it all. It was already the best but now, there is no other plane that is close, IMO. Just amazing!! Now I just have to get used to coming back to P3D from mostly flying XPlane. Have to get used to the 'cartoon-like' look of P3D again. But this plane is just too amazing to not fly!!!! How it reacts to turbulence, feel like it tilts up and down way too much. For what it is, it is impressive. Agree, it is superb. The newly revised paints to fit this version look even better. They sure fixed a lot of little items that needed attention. I would like to see a VC texture update. A somewhat worn realistic look. Some of the textures look very bland. But a very minor complaint. Without a doubt the most realistic and well done addon aircraft you can purchase. Maddog X is a close second IMO. 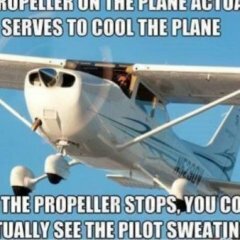 Update just for P3d v4.5? No. The announcement thread lists compatible P3D versions and I think it was good for all 4.x versions. I'd provide a link, but I'm just all out of jazz today. There is a texture pack - google ‘HB Textures VC pack’ and install them. They add the proper airbus logos to the flight deck and quite a few other enhancements. the﻿ 'cartoon﻿-like' ﻿look of﻿ P3D ﻿again﻿. I was recently training in a real FSTD for an Instructor Rating upgrade that was driven by XP. The deer that ran across the runway after landing kind of killed the immersion factor for me. Not sure how it got certified by the authorities. If it's a Boeing I'm not going. With the new ATSU integration, the bus is getting social😁. 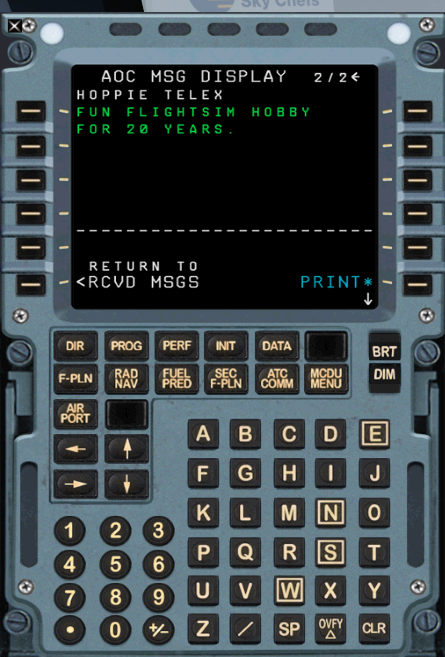 Lot's of msg between pilots and Hoppie server is getting hot ! Edited April 14 by Chris F.
Whats that all a out, what is HOPPIE upset about ? no clue. Their website says they're hard at work setting up a new server but I'm not sure how long ago that was updated. It is a great airplane. Though, I still manage to have some difficultly with ground taxing and braking. Even with 4.5 installed ( reports of FPS issues) performance seems to be fine on my system. Engine sounds are now DEAD ON..
For me the new version A320 is harder on FPS than the previous version. I find this version on 4.4 brings a new performance boost. After 4 flights I now have the push back time to 20 mins which is my VA min prep time. The 321 with PBR frame and VC, CPDLC and god knows what other goodie they have in stock is going to be glorious. Don't forget FS2Crew , 90% finished according to Bryan York.